happy hump day! i hope everyone is staying warm. it has been so cold here & i am told that we have a big snow storm headed our way this weekend. so this weekend i will be stocking up on baking supplies & spending time cozied up indoors & watching the snow fall from my kitchen window. 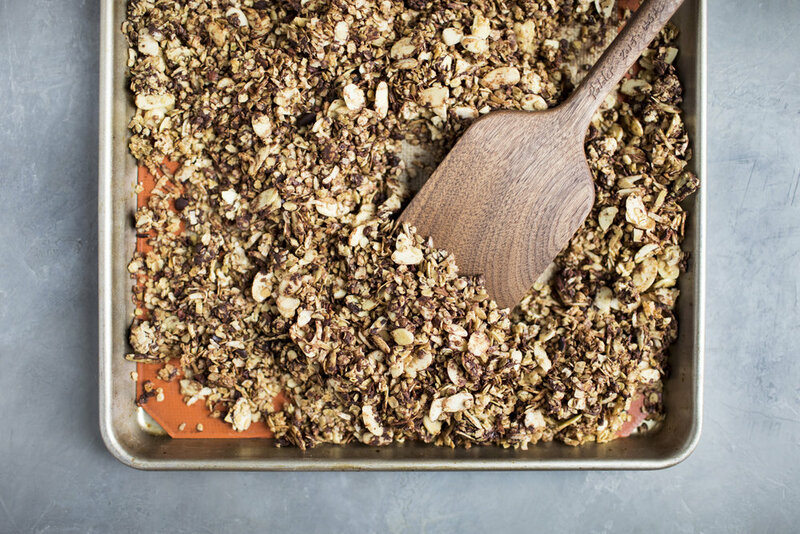 first up on the list is to make a big batch of granola for quick & easy week day breakfasts. justin loves it over yogurt or with a splash of almond milk! 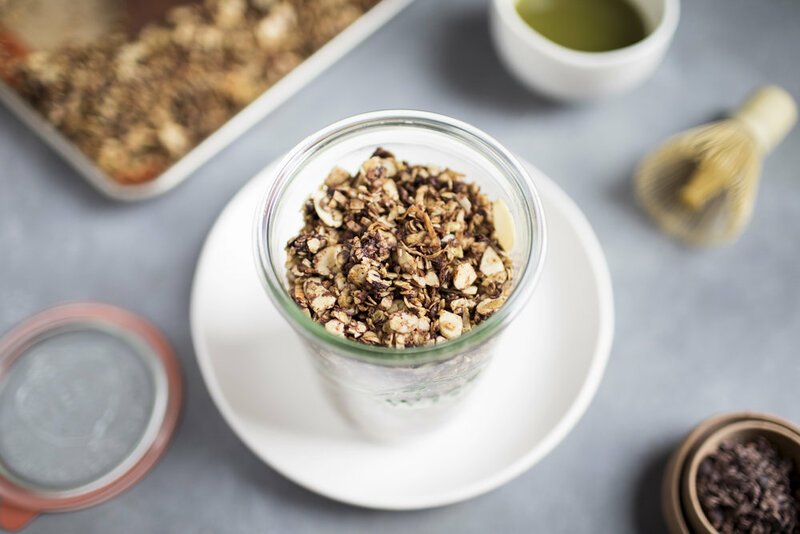 today i am sharing with you a flavourful & delicious granola recipe. 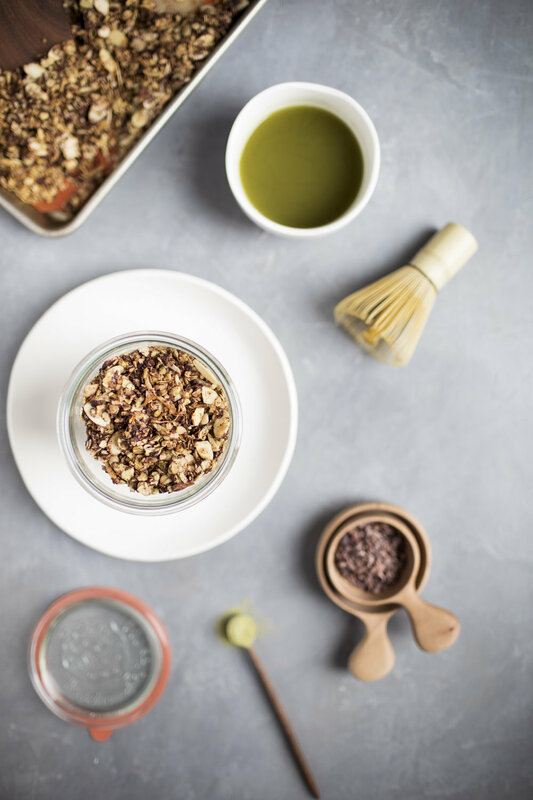 it is made with chocolate, coconuts, almonds & matcha. the matcha i used is from tea forte & is actually flavoured too! i used a mix of their chocolate matcha & coconut matcha to pull from both flavours in the recipe. 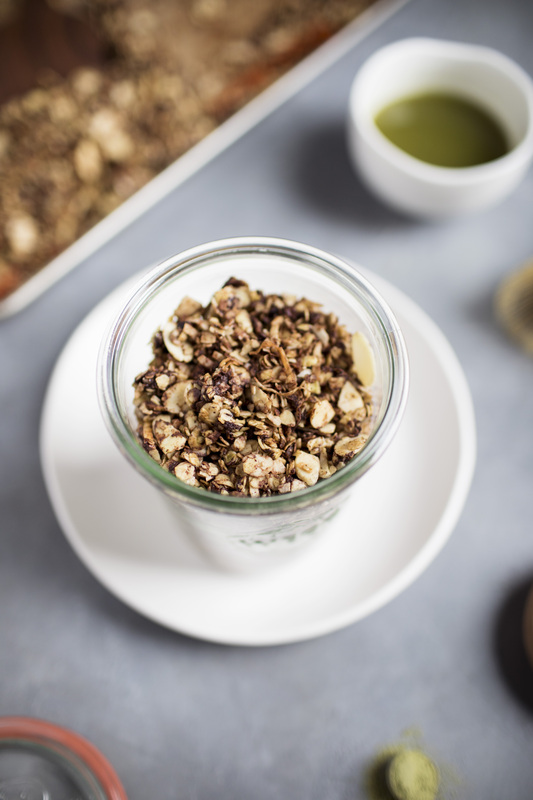 you can even enjoy this granola along side a steamy coconut matcha latte or chocolate matcha latte! my frother has been working over time this month because i can't get enough of my home prepared lattes. 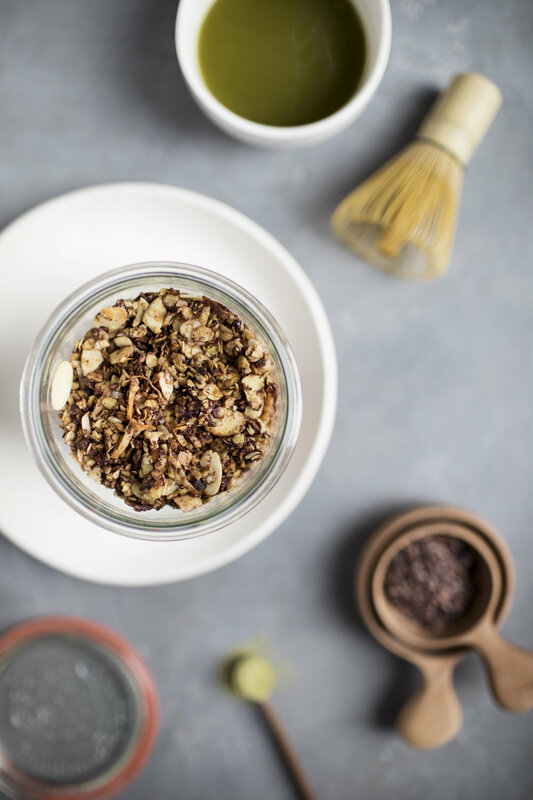 in a large mixing bowl add the oats, chocolate, coconut, almonds, cocoa nibs & matcha powder. stir until evenly combined. in a separate mixing bowl whisk together the oil, honey, vanilla & almond milk. 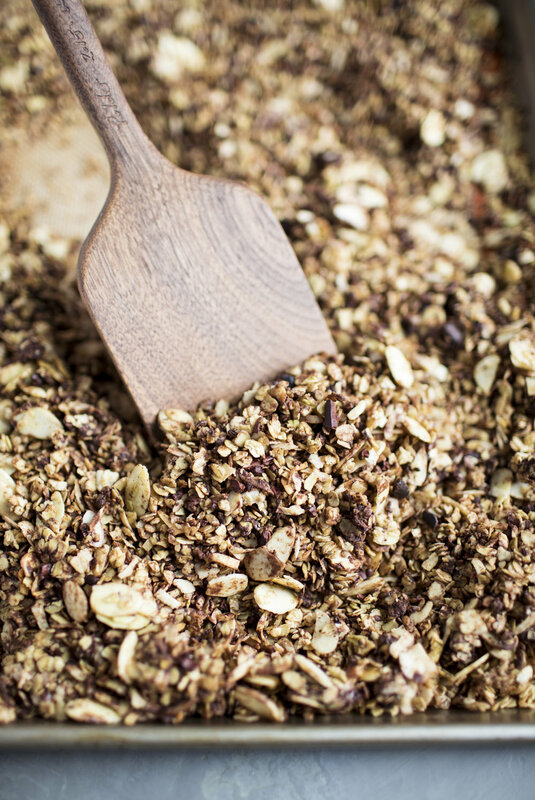 pour wet mixture over the oat mixture & toss to coat. transfer to prepared baking sheet. bake for 45 minutes, stirring mixture every 15 minutes for even browning. allow mixture to cool completely before transferring to a glass storage container. store at room temperature for up to two weeks! this post was created in partnership with tea forte!